Heated Seats, iPod/MP3 Input, Bluetooth, ENGINE: 2.4L I4 ZERO EVAP M-AIR W/ESS... COLD WEATHER GROUP, Alloy Wheels, Satellite Radio. EPA 29 MPG Hwy/21 MPG City! Latitude Plus trim, Billet Silver Metallic Clear Coat exterior SEE MORE!KEY FEATURES INCLUDE4x4, Back-Up Camera, Satellite Radio, iPod/MP3 Input, Bluetooth Rear Spoiler, MP3 Player, Keyless Entry, Privacy Glass, Steering Wheel Controls.OPTION PACKAGESCOLD WEATHER GROUP Engine Block Heater, Heated Front Seats, Windshield Wiper De-Icer, Remote Start System, All-Season Floor Mats, Heated Steering Wheel, ENGINE: 2.4L I4 ZERO EVAP M-AIR W/ESS (STD), TRANSMISSION: 9-SPEED 948TE AUTOMATIC (STD).EXPERTS ARE SAYINGThe steering is nicely weighted, feels direct, and even transmits some of the road texture to the driver. Bigger bumps are nicely filtered out. It's well-balanced all around, and there's a good sense of center when driving on the highway. -Edmunds.com. Great Gas Mileage: 29 MPG Hwy.VISIT US TODAYBaxter Chrysler Dodge Jeep Ram La Vista, a full-service car dealership in La Vista, is your source for new cars, trucks and SUVs both online and in our showroom. We also sell used vehicles and certified pre-owned vehicles. At our 7010 South 124th Circle location, we also provide Mopar parts and auto repair service. We're part of Baxter Auto, the largest dealer group in Nebraska.Fuel economy calculations based on original manufacturer data for trim engine configuration. Please confirm the accuracy of the included equipment by calling us prior to purchase. 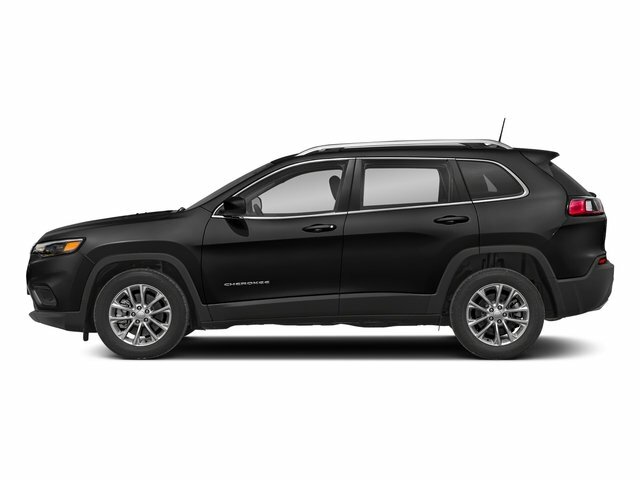 Heated Seats, iPod/MP3 Input, Bluetooth, 3.2L V6 24V VVT ENGINE W/ESS, COLD WEATHER GROUP, 9-SPEED 948TE AUTO TRANSMISSION W/ACT... Diamond Black Crystal P/C exterior, Trailhawk trim. FUEL EFFICIENT 24 MPG Hwy/18 MPG City! SEE MORE!KEY FEATURES INCLUDE4x4, Back-Up Camera, Satellite Radio, iPod/MP3 Input, Bluetooth. Rear Spoiler, MP3 Player, Keyless Entry, Privacy Glass, Steering Wheel Controls.OPTION PACKAGESCOLD WEATHER GROUP Engine Block Heater, Heated Front Seats, Windshield Wiper De-Icer, Heated Steering Wheel, 17 X 7.5 BLACK PAINTED ALUMINUM WHEELS, 9-SPEED 948TE AUTO TRANSMISSION W/ACTIVE DRIVE II (STD), 3.2L V6 24V VVT ENGINE W/ESS (STD).EXPERTS ARE SAYINGEdmunds.com's review says The steering is nicely weighted, feels direct, and even transmits some of the road texture to the driver. Bigger bumps are nicely filtered out. It's well-balanced all around, and there's a good sense of center when driving on the highway. . Great Gas Mileage: 24 MPG Hwy.OUR OFFERINGSBaxter Chrysler Dodge Jeep Ram La Vista, a full-service car dealership in La Vista, is your source for new cars, trucks and SUVs both online and in our showroom. We also sell used vehicles and certified pre-owned vehicles. At our 7010 South 124th Circle location, we also provide Mopar parts and auto repair service. We're part of Baxter Auto, the largest dealer group in Nebraska.Fuel economy calculations based on original manufacturer data for trim engine configuration. Please confirm the accuracy of the included equipment by calling us prior to purchase. Heated Seats, Satellite Radio, Back-Up Camera, Bluetooth, iPod/MP3 Input, TRAILER TOW GROUP, TECHNOLOGY GROUP. Trailhawk Elite trim, Bright White Clear Coat exterior and Black interior. FUEL EFFICIENT 24 MPG Hwy/18 MPG City! 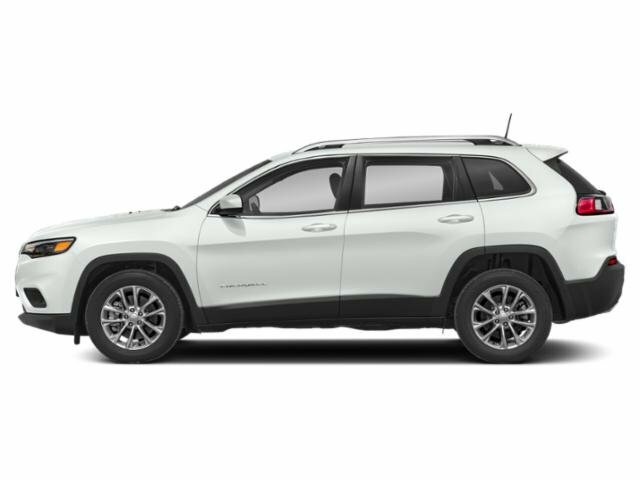 SEE MORE!KEY FEATURES INCLUDE4x4, Back-Up Camera, Satellite Radio, iPod/MP3 Input, Bluetooth Rear Spoiler, MP3 Player, Keyless Entry, Privacy Glass, Steering Wheel Controls.OPTION PACKAGESQUICK ORDER PACKAGE 27L TRAILHAWK ELITE Engine: 3.2L V6 24V VVT w/ESS, Transmission: 9-Speed 948TE Auto w/Active Drive II, Ventilated Front Seats, Windshield Wiper De-Icer, Heated Steering Wheel, Hands-Free Power Liftgate, Exterior Mirrors w/Memory, Tonneau Cover, Heated Front Seats, Universal Garage Door Opener, Power Driver/Passenger 4-Way Lumbar Adjust, Rear View Auto Dim Mirror, Remote Start System, Power Front Driver/Passenger Seats, Radio/Driver Seat/Exterior Mirrors Memory, Security Alarm, TECHNOLOGY GROUP Lane Departure Warning Plus, Auto High Beam Headlamp Control, Rain Sensitive Windshield Wipers, Adaptive Cruise Control w/Stop & Go, Advanced Brake Assist, Full Speed Forward Collision Warning Plus, Side Distance Warning, Parallel/Perpendicular Park/Unpark Assist w/Stop, TRAILER TOW GROUP 7 & 4 Pin Wiring Harness, Trailer Tow Wiring Harness, Class III Receiver Hitch, WHEELS: 17 X 7.5 BLACK PAINTED ALUMINUM, TRANSMISSION: 9-SPEED 948TE AUTO W/ACTIVE DRIVE II (STD), ENGINE: 3.2L V6 24V VVT W/ESS (STD), 9 AMPLIFIED SPEAKERS W/SUBWOOFER. Jeep Trailhawk Elite with Bright White Clear Coat exterior and Black interior features a V6 Cylinder Engine with 271 HP at 6500 RPM*.EXPERTS ARE SAYINGEdmunds.com explains The steering is nicely weighted, feels direct Great Gas Mileage: 24 MPG Hwy.Horsepower calculations based on trim engine configuration. Fuel economy calculations based on original manufacturer data for trim engine configuration. Please confirm the accuracy of the included equipment by calling us prior to purchase. Moonroof, Heated Leather Seats, Back-Up Camera, POWER FRONT/FIXED REAR FULL SUNROOF, TRANSMISSION: 9-SPEED 948TE AUTOMATIC... Power Liftgate. Olive Green Pearl Coat exterior, Limited trim. FUEL EFFICIENT 27 MPG Hwy/19 MPG City! CLICK NOW!KEY FEATURES INCLUDELeather Seats, 4x4, Power Liftgate, Heated Driver Seat, Back-Up Camera. Rear Spoiler, MP3 Player, Keyless Entry, Privacy Glass, Remote Trunk Release.OPTION PACKAGESPOWER FRONT/FIXED REAR FULL SUNROOF, TRANSMISSION: 9-SPEED 948TE AUTOMATIC (STD), ENGINE: 3.2L V6 24V VVT W/ESS (STD).EXPERTS ARE SAYINGGreat Gas Mileage: 27 MPG Hwy.VISIT US TODAYBaxter Chrysler Dodge Jeep Ram West Dodge, a full-service car dealership in Omaha, is your source for new cars, trucks and SUVs both online and in our showroom. We also sell used vehicles and certified pre-owned vehicles. At our 17950 Burt Street location, we also provide Mopar parts and auto repair service. We're part of Baxter Auto, the largest dealer group in Nebraska.Fuel economy calculations based on original manufacturer data for trim engine configuration. Please confirm the accuracy of the included equipment by calling us prior to purchase. Heated Leather Seats, TRANSMISSION: 9-SPEED 948TE AUTOMATIC... Aluminum Wheels, 4x4, Power Liftgate, ENGINE: 3.2L V6 24V VVT W/ESS. Limited trim, Olive Green Pearl Coat exterior. FUEL EFFICIENT 27 MPG Hwy/19 MPG City! SEE MORE!KEY FEATURES INCLUDELeather Seats, 4x4, Power Liftgate, Heated Driver Seat, Back-Up Camera Rear Spoiler, MP3 Player, Keyless Entry, Remote Trunk Release, Privacy Glass.OPTION PACKAGESENGINE: 3.2L V6 24V VVT W/ESS (STD), TRANSMISSION: 9-SPEED 948TE AUTOMATIC (STD).EXPERTS CONCLUDEEdmunds.com explains The steering is nicely weighted, feels direct, and even transmits some of the road texture to the driver. Bigger bumps are nicely filtered out. It's well-balanced all around, and there's a good sense of center when driving on the highway. . Great Gas Mileage: 27 MPG Hwy.MORE ABOUT USBaxter Chrysler Dodge Jeep Ram La Vista, a full-service car dealership in La Vista, is your source for new cars, trucks and SUVs both online and in our showroom. We also sell used vehicles and certified pre-owned vehicles. At our 7010 South 124th Circle location, we also provide Mopar parts and auto repair service. We're part of Baxter Auto, the largest dealer group in Nebraska.Fuel economy calculations based on original manufacturer data for trim engine configuration. Please confirm the accuracy of the included equipment by calling us prior to purchase.